On Behalf of the EPCA Executive members, I take this opportunity to thank everyone for their support. As previously announced our first Captain and Umpire meeting has been scheduled on 5th October 2016 in Marhaba Restaurant at 7 pm. We request every club to ensure that their captain and umpires attend this meeting without fail. 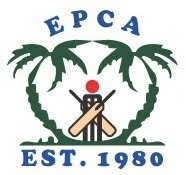 EPCA Kindly requests every club to once again go thru the rule book and comeup with their suggestions, the suggestions discussed during the AGM will also be readdressed. Please be reminded that the balance (dues) which were unsettled during the AGM should be settled by today without fail. Best Regards and wishing you good luck for the season.